Sorry, no sucker for you today. I wouldn’t even know where to find one now that Stuckey’s are boarded up and falling down. Hope you get back on your feet soon. Sorry for your trauma, but you sure made me smile about my own memories seeing America go by at 60 miles an hour. Great picture out of the Road Trip archive. Can’t wait for a new one! ah dear sister, the discovery of a few of these photos confirmed your suspicion that I’ve always used photography to escape some sort of other “work” – camp duty, kitchen clean-up, etc. And only now, after all these years is that appreciated. LOL I have several of these photos – maybe 10 and I promise to get you & bro scans of them all. 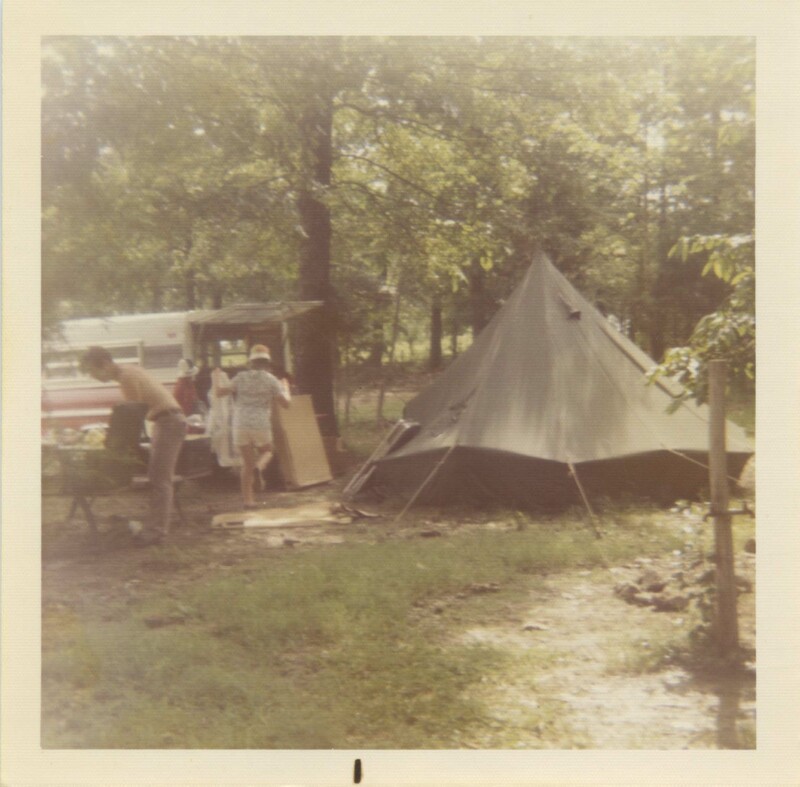 Oh my goodness…..I never remembered any pictures ever being taken on our camping trips with the Surrogate parents!!!! What a hoot….where did you get those??? Fabulous, KOA camp grounds, look out!!! Yep Mom, can’t wait for the fall road trip. 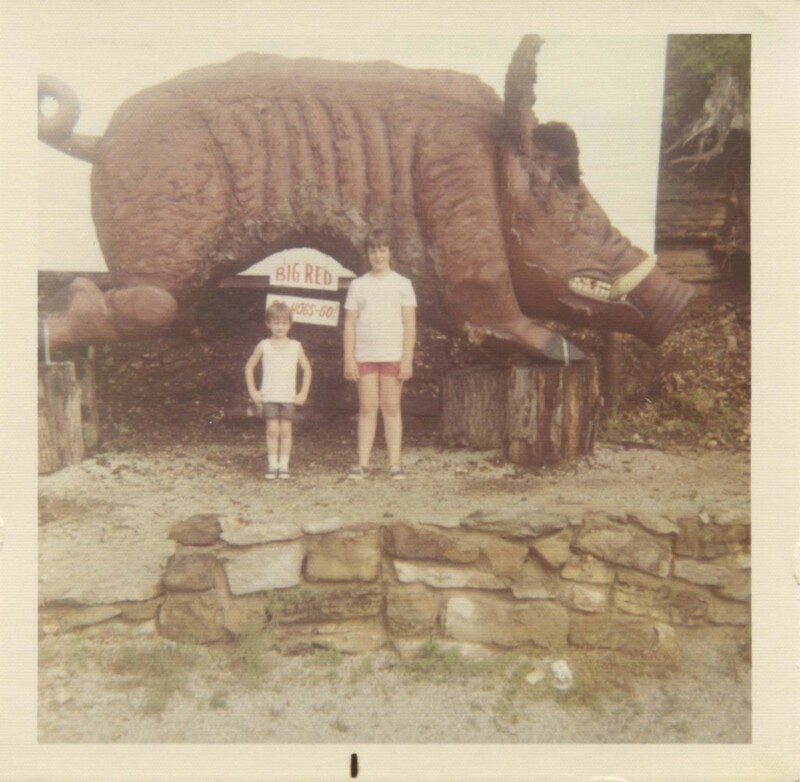 I just added a pic of Lisa with Brian next to a huge hog at Dogwood City. Wonder if Lisa will discover this on her own, or should I direct her here? Ah Stuckey’s. Remember those well. But I don’t think they had the suckers – just those pecan logs with the white stuff in the middle. What was that stuff? Never mind. You are such a hoot! Glad you are back on your feet and thankful for those ‘good’ drugs. Such pictures you paint. Love it! Can’t wait for your fall ‘road trip’!